I shared these flashcards over at Wait Til Your Father Gets Home a few weeks ago and thought I would share them with all of you as well. You all already know that Miss P recently turned 1 and I've been thinking about starting Mommy School with her. I thought I would start with some simple things like colors and shapes. We have some puzzles at home with the shapes but I wanted to use some flashcards as well and thought I would make my own. So, I got onto Picmonkey and started creating my flashcards. I made them so they are 4 per page so you just need to cut them apart. I printed mine on cardstock paper so they are thicker. And to make them last for a long time, I recommend running them through a laminator. Can't wait to use them with my little Miss and watch her learn! 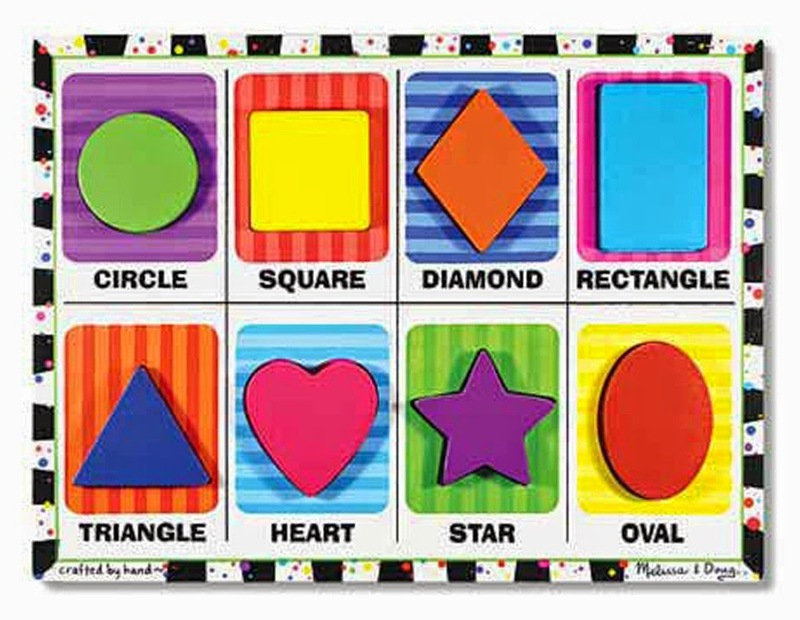 A fun activity for your little one: we have this Melissa and Doug Shape Puzzle. These flashcards are great to use with this puzzle. 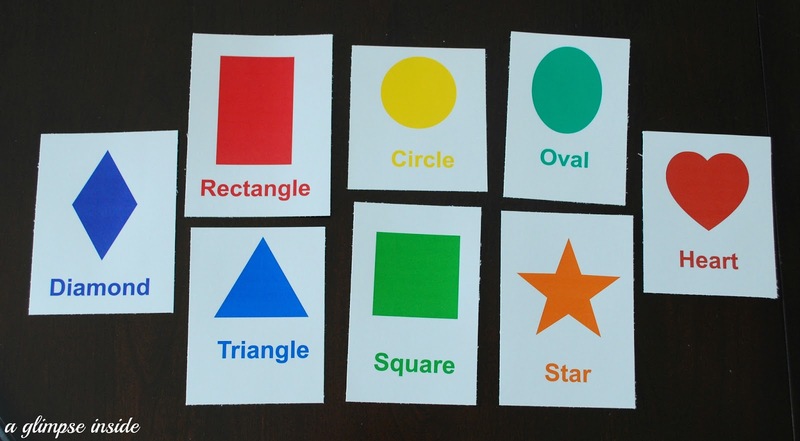 Let your little match the correct shape to the same flashcard. And then you can also have them match the shape to the same color flashcard. Just choose which set to download and print. 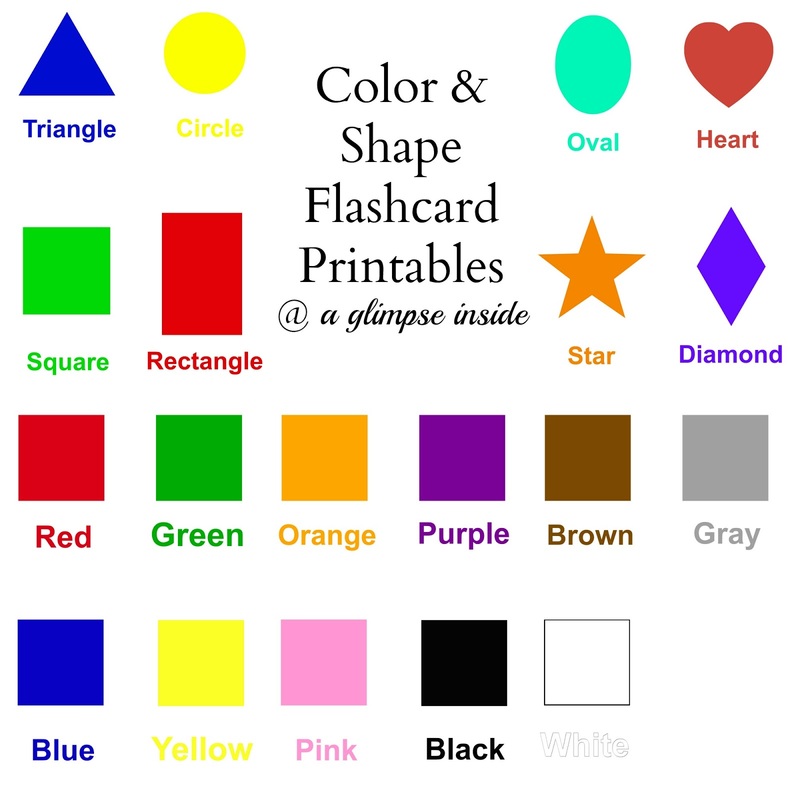 The shape flashcards are in two files. And the color flashcards are in three files. I recommend when printing to choose the full page option but also shrink to fit but play around with your options depending on your at home printer. She is a happy beauty. Thanks so much for sharing your ideas!! 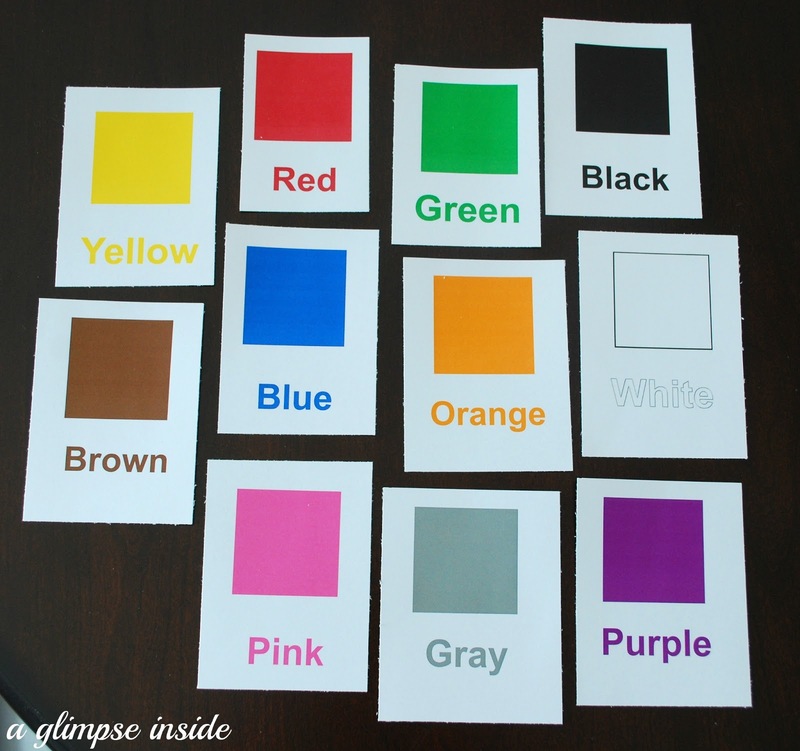 I have included this on my blog '41 activities for Pre-K'. Thank you so much! I spent a lot of time online in searching for good shape flashcacrds - your were the perfect ones.